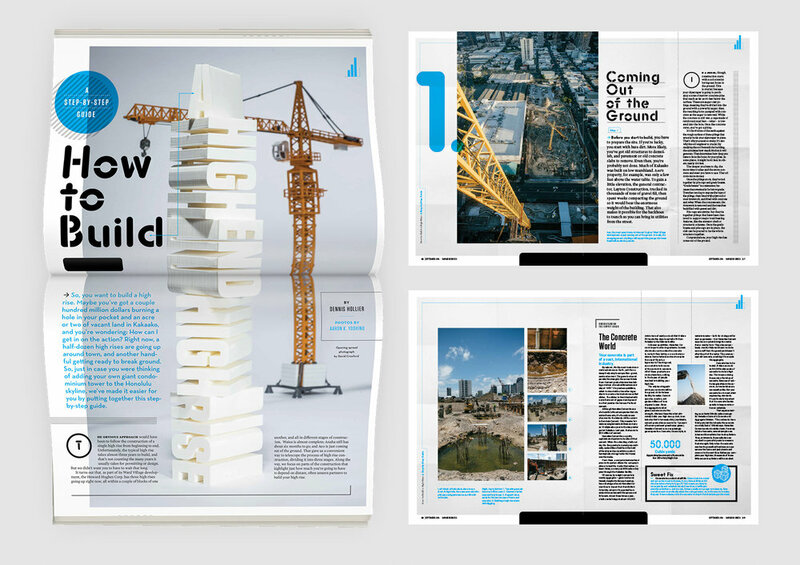 We take you behind and inside the scenes to show step by step how a high-rise is built. Instead of waiting years for a single tower to be completed, we combine photos and information from three different towers, each at different stages of construction. We hired an artist to build a 3D rendering of the words “A High End High Rise” and used that as our main focus for the opening page. With a topic that could be complicated to write about, it was easily digestible to navigate through with use of colors, typography and photography .